A New Dowsing Mystery Challenge: Clearing Hooks! Recently my current ‘pendulum buddy’, a former LifeWeaving student, mentioned clearing “hooks” and healing wounds caused by these hooks. This was most interesting. In order to work on hooks, I began trying to visualize what they looked like and what they were all about and wondered how they fit into a person’s health matrix. I’ll share my impressions but would love to have any other dowsers explore the subject and add more light and other interpretations on the subject. I imagine the hooks looking more or less like energetic/astral Velcro hooks, lining the chakras and acting to help clean the energy moving through the chakras – much like hair in the nostrils and ears act to protect those organs. Occasionally a hook or group of them becomes overloaded, stuck or tangled up with an emotion or energy that stays put, eventually causing a wound to form in some part of the body. Here’s an example: Working on a client with back pain. Any (blocked) hooks? = three. Ask Archangel Michael to dissolve as many as possible. Any (blocked) hooks left? = none. Any wounds caused by those hooks? = Yes, one, located in the abdominal chakra on the emotional body level. LifeWeave to clear the wound = add trust + forgiveness/apology + pink + trust, faith. (Clear). Are there any other hooks or wounds at this time? = No. While you work to clear yourself or others, take a look for hooks and wounds and see what comes up. And please share! Do you have any other ways to explain hooks? ; found a better way to clear them? ; found that clearing them doesn’t make a difference? Please weigh in on the discussion. Do you agree with my imaginative story about hooks or do you have other thoughts. Let's hear from you. 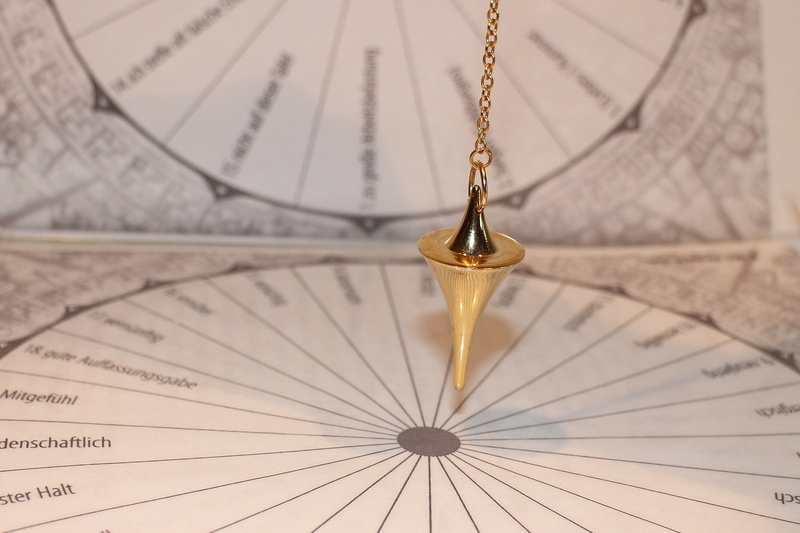 I have found that with the major energy shifts we've experienced the first of this year, that pendulum testing has been a bit trickier. I've had to really slow down and wait a few seconds longer for answers to show up on the dowsing chart instead of relying on hearing the answer in my head, and also to make sure that I am totally clear. One of my former students found on testing me that, like many of his other clients, I was bringing up old wounded child issues and emotional baggage from my past; and that my personal trinity was not entirely aligned with the Divine Plan. I typically work pretty fast and, of course, always expect that I will be clear, so somewhere I lost some of the needed neutrality - especially in dealing with my own issues. In fact, on the same day, another provider I see both gave me the "don't work on yourself" speech. Have you heard the one about Chiron, the 'wounded healer'? If not, look him up. As a result I have stepped back a bit at being my own(ly) healer, and am more carefully checking that the Invocation does what was intended and that those I work on are really clear and ready for a session. A co-worker who does energy healing also mentioned that accurate muscle testing has also been difficult during this same time frame. So as these waves of energy come through during the year, take some precautions so dowsing and energy testing you do remains valid. Have you checked out the LifeWeaving videos yet on my AyniLifeWeaving.com website? The beginning videos show you the differences in LifeWeaving dowsing versus regular dowsing, how to begin working with the charts, utilizing the neutral line for testing, testing for accuracy, etc. There is another page devoted to a complete LifeWeaving session video. I'd love to have feedback on these - helpful? too fast? too basic? missing some point you want to know about? If you are doing LifeWeaving in a different way, I'd love to hear from you. We can all learn from each other. I am finally back to a space in my life where I will be working to create an online LifeWeaving class and videos of this type will be a large part of it. So thank you for any comment, please! dowsing problems, hooks, LifeWeaving. Bookmark. Excellent imagination. I can see it! Lol. I have got to call you to talk about this insanity – in the world? The other day I wrote on FB about what is going on with the Age of Aquarius. I got back info about pendulums swinging and ” for every action there is an equal reaction.” Ok. I get it. Still it is disconcerting to me to hear lies coming from my representatives mouths daily. In ways that can be subtle or not at all. As can dropping into deeper self disclosure, from either party involved in the interaction. You really make it appear really easy together with your presentation however I in finding this matter to be really something which I feel I would by no means understand. It sort of feels too complicated and very extensive for me. I’m taking a look ahead in your subsequent put up, I’ll attempt to get the cling of it! Dowsing is a complex subject and LifeWeaving is not intended for raw beginners. It can help to purchase the book from this site Advanced Dowsing with the LifeWeaving System on or from Amazon which gives the theory and basics of the method.